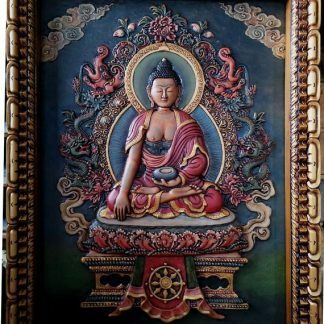 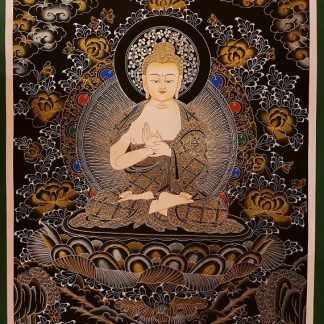 This beautiful Kalachakra Relief Thangka Painting can be served as a precious wall hanging inspiring you all the item when you look at it for mediation and worship at home or in temples. 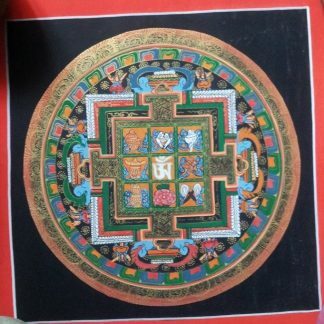 This Relief art painting of Kalachakra is hand made and painted by a Newar artist of Patan in Nepal. This painting is carved on clay canvas and beautifully decorated in wooden frame. 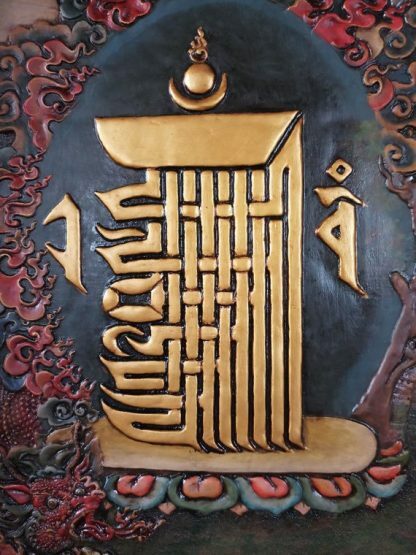 The Kalachakra (Sanskrit कालचक्र Kālacakra, Tibetan: དུས་ཀྱི་འཁོར་ལོ།, Wylie: dus kyi ‘khor lo; Mongolian: Цогт Цагийн Хүрдэн Tsogt Tsagiin Hurden; Chinese: 時輪) is a term used in Vajrayana Buddhism that means wheel of time or “time-cycles”. 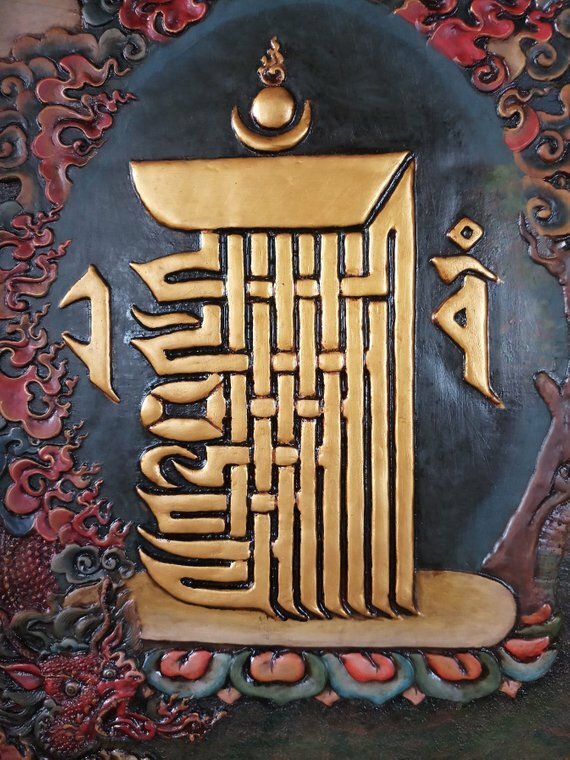 “Kālacakra” is one of many tantric teachings and esoteric practices in Tibetan Buddhism. 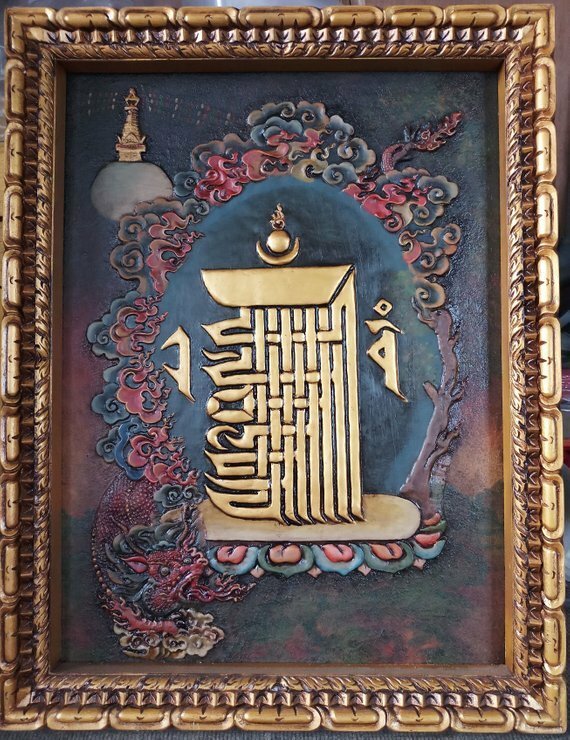 It is an active Vajrayana tradition, and has been offered to large public audiences. 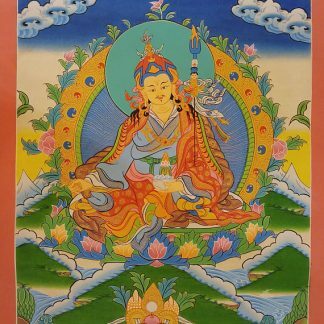 The tradition combines myth and history, whereby actual historical events become an allegory for the spiritual drama within a person, drawing symbolic / allegorical lessons for inner transformation towards realizing Buddha Nature. 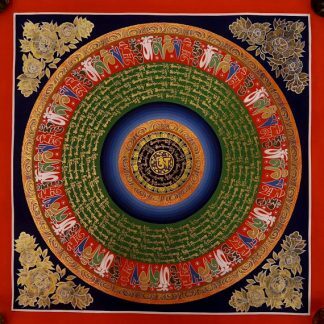 The most important texts of this tradition include Kalachakra Tantra and Vimalaprabha. 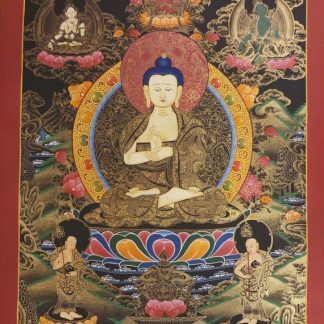 The tradition’s roots are in India, but its most active history and presence has been in the monasteries of Tibet. 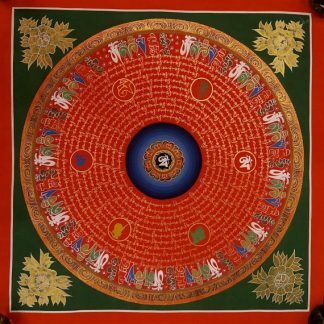 The tradition is a form of nondualism, and it is believed that the Kalachakra was taught by the Buddha himself. 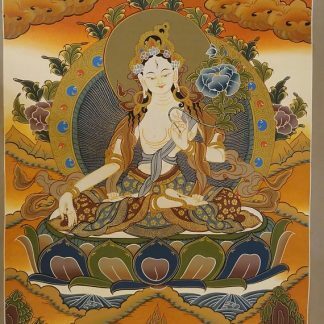 Technical Description of Kalachakra Relief Thangka Painting is as follows.